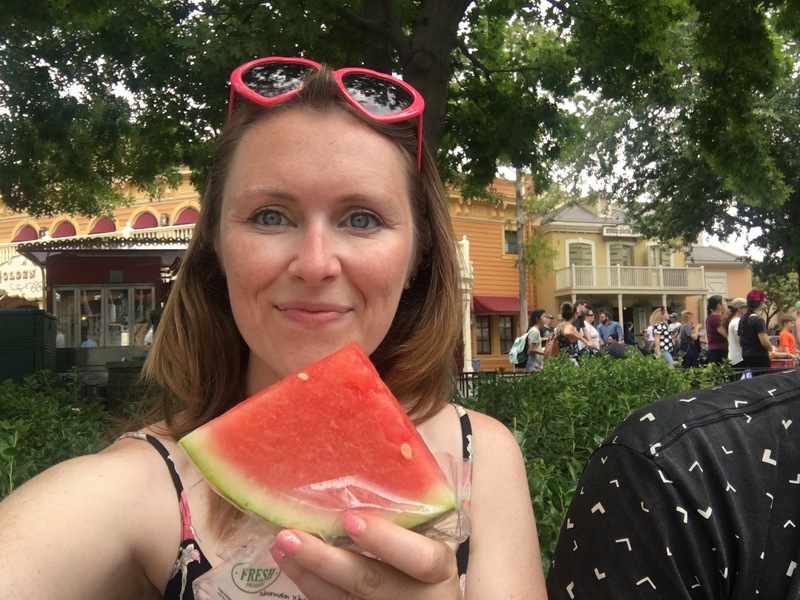 Our second day at Disney was just as exciting as our first although for the most part we based ourselves in the main park. 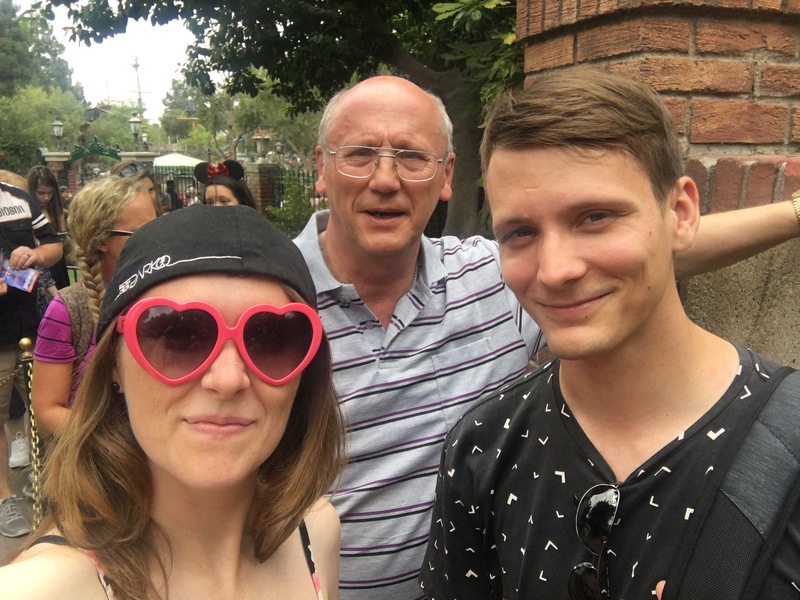 There are so many iconic attractions in the main park and we wasted no time in showing them off to Phil’s Dad. We took him on all the classics from Pirates, Haunted Mansion and Small World. He loved it! For lunch we had turkey legs and watermelon. 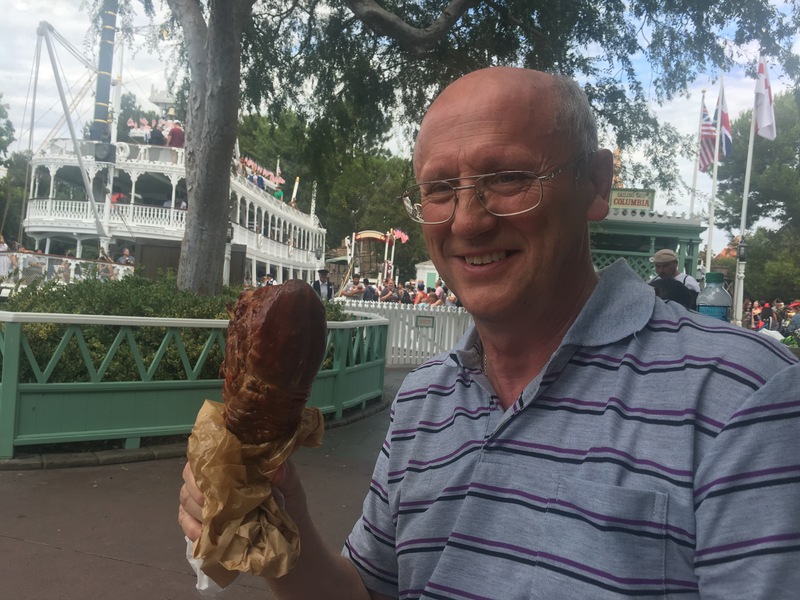 I really love the turkey legs at Disney, they are just so flavourful! We also made sure that we squeezed in a parade and two evening shows, World of Colour and the Fireworks. 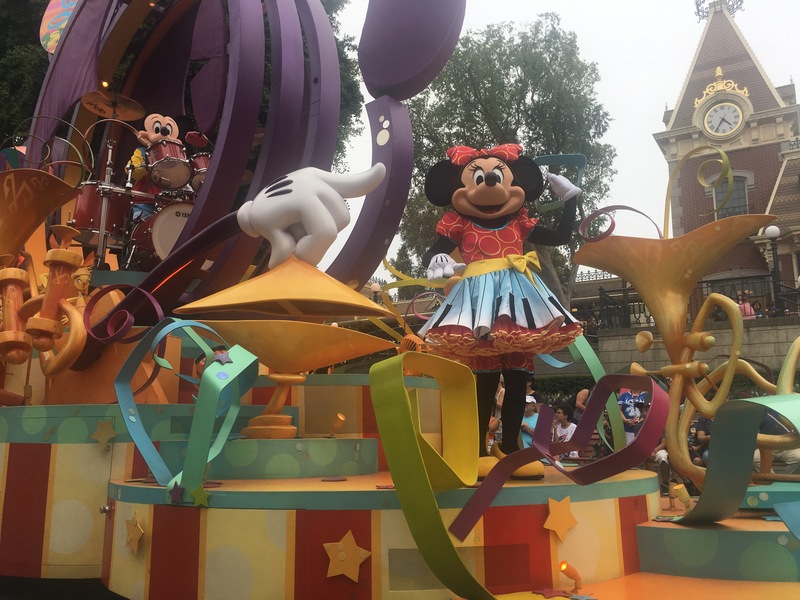 The parades are so magical, you can’t help but be enveloped in a warm hug of happiness watching them. When I visited Disneyworld as a child, I used to think that the characters I was seeing were the real McCoy. I’d go around collecting autographs and spending my days in awe of their celebrity status. As an adult, I’m quite aware that they are cast members and I certainly don’t go around collecting autographs, but I still appreciate the effort that goes in to portraying the character as well as the level of detail that creates the Disney parks and just makes them so, so special. 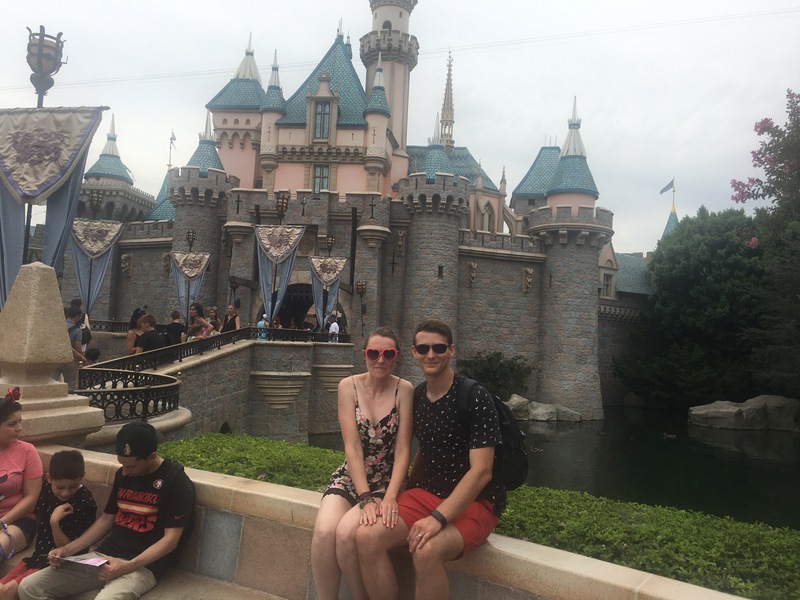 We were sat next to a guy who works at Disney but was on his day off. He told us lots of interesting facts about the parks and some changes coming up. 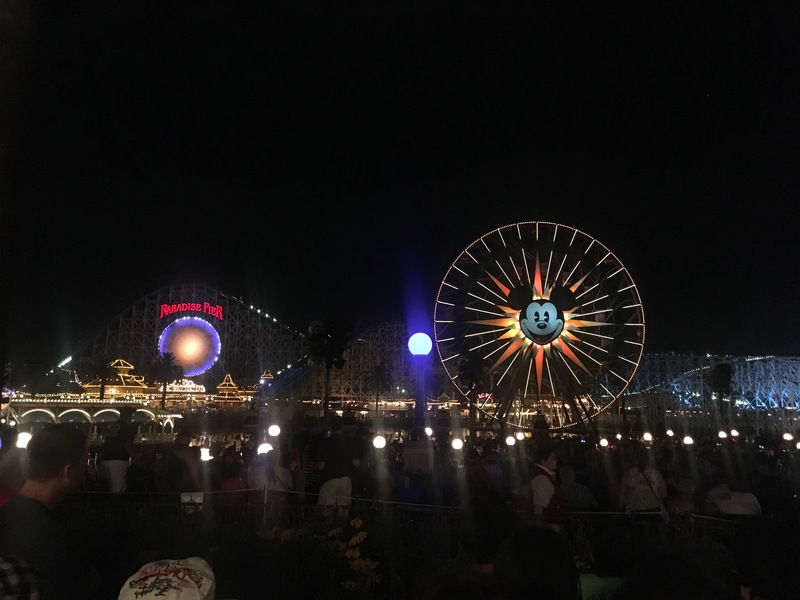 Disneyland is only going to get better! We did a spot of shopping before leaving Disney and I picked up a hand drawn sketch of Hay Hay from Moana. It’s so cool that a Disney artist drew it. I’m not sure where in the house it will live exactly, but it’s definitely finding a wall somewhere. Because our hotel was so close (and Phil had manflu) we went back to our rooms for an hour or so before heading back over for the night shows. World of colour is such a gorgeous display on the lake over in California Adventure. It’s such a treat featuring so many iconic characters. We then finished our time at Disney by watching the fireworks over the castle in the main park. The fireworks at Disney are the best I’ve ever seen. They just know what they are doing! We loved it. 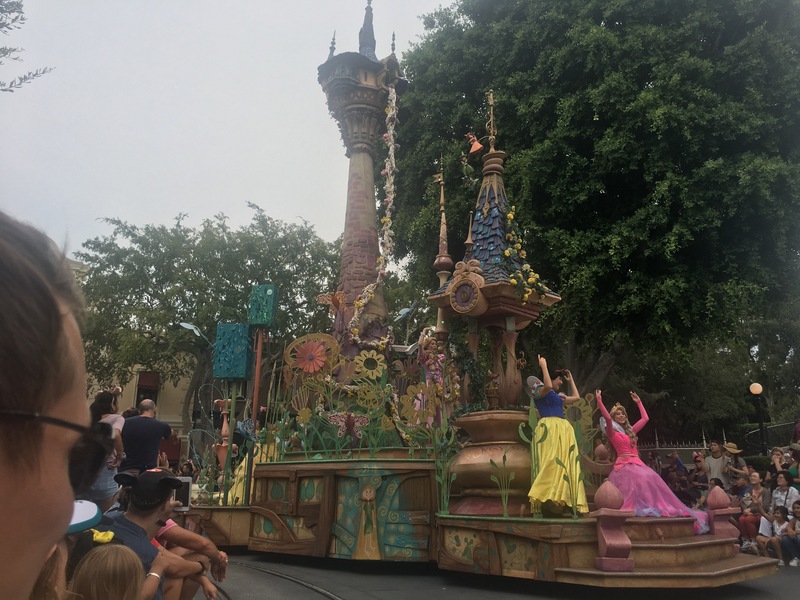 Have you seen the Disney parades/shows?